Welcome to the Houdini Media Recruitment Network. Browse this site to find out more about our recruitment web sites and advertising options. If you require any further information please contact us to speak to an advisor on 0845 6439338. If you know what you are looking for, click here to get started. Featured Site: Season Workers - The Original Seasonal Jobs Portal, Season Workers is the UK's busiest and best seasonal job site. Profile: iGapYear - is packed full of gap year placements, courses, travel hints, advice and first hand accounts of year out travel. Profile: The Working Travel Website - Working Travel covers everything related to overseas job seekers, gappers and backpackers. Results are listed in the order of the best entries, advertisers can log in to edit and perfect their entries to gain higher search ranking. 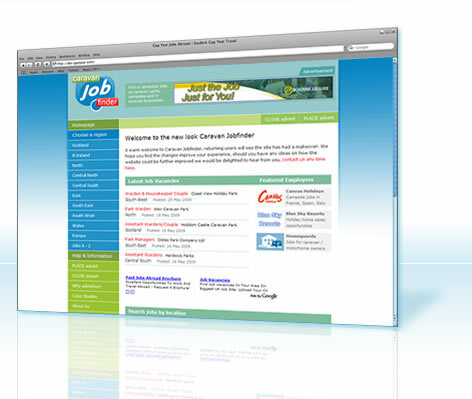 Profile: CaravanJobfinder.com - Caravan Jobfinder is THE site in the UK for Caravan related employment. Established for nearly a decade, this site is used by some 200 holiday park and caravan related employers. Plugging into our network puts your ads in front of a greater volume of quality candidates because our sites are fun to use and offer far more content, help and advice than anywhere else. You only need to look at our sites to see the difference in quality. Over 40,000 people are registered with us for newsletters, forums and updates. 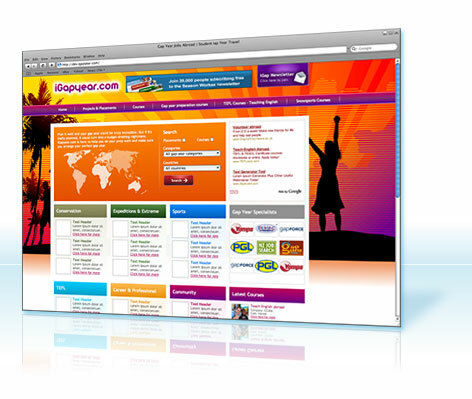 Additionally, over 2 million visitors browse our sites each year. Currently around 500 new people register weekly. Our team of experts have been constantly developing new and exciting ways for you to appeal to the best candidates since 2001. We were the first offer features such as video upload, graphical performance reports and customisable application forms and many of the other features you see on sites around today. We have recently launched a raft of new facilities that are not available anywhere else such as case study, news and help guide upload and will continue to bring you the best new features available anywhere. If you are new to Houdini and relevant to our community then your first month may be completely free! Contact us on 0845 6439338 to apply. Click here to choose a simple, cost effective advertising option and be up and running instantly.